Saying it was time to rethink an age-old process, Missoula Mayor John Engen joined the City Council on Wednesday in calling for a review of the city’s sidewalk replacement project, saying the costs have become too prohibitive to continue the status quo. While most agreed the city’s sidewalks are a vital source of safe transportation and an essential part of an equitable community, paying for them has become a challenge, resulting in steep bills for some homeowners. Engen killed a proposed Slant Street sidewalk project last week, saying the costs of seeing it through were too steep. He reaffirmed that pledge on Wednesday, saying it was time to come together in search of a new solution. Finding a balance between the responsibility of homeowners and the greater cost to taxpayers may remain a work in progress. But advocates believe an equitable yet complete solution can be found. 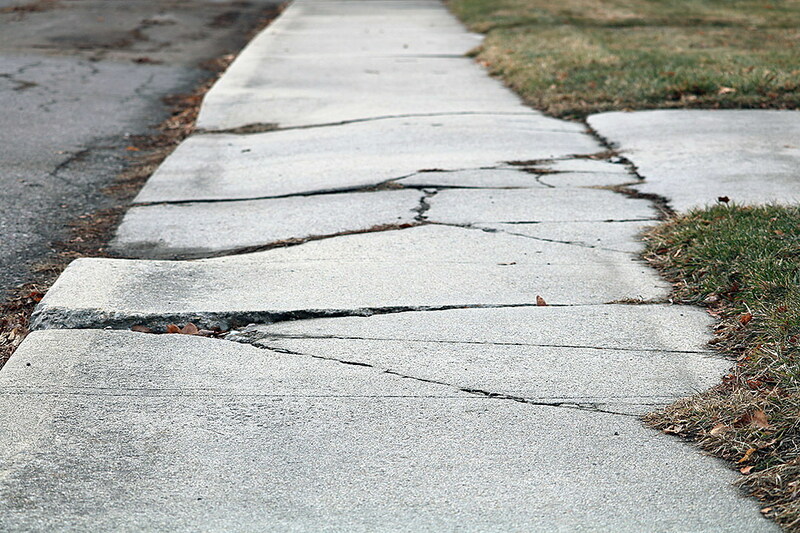 Maintaining sidewalks and replacing sidewalks was the full responsibility of property owners up until 2012, when the city introduced a subsidy to help homeowners offset steadily creeping costs. Last year, the city increased that subsidy even more, though replacement costs still stand beyond the reach of many homeowners, especially those on corner properties or with long exposure to the street. Some homeowners have been confronted with crippling costs for sidewalk replacement projects, including Kathleen Kimble and her husband, William Fleischman. The couple recently received a city estimate north of $55,000 to replace the sidewalk outside their home, which sits on a corner lot in the Slant Street neighborhood. The cost to the couple under the city’s current subsidy was $38,000. While Kimble praised the city Wednesday for taking a step back, she urged it to find a realistic solution. While some property owners urged the city to find ways to address sidewalk replacement costs, others asked for a sidewalk in general. But even that request isn’t new. Last summer, as the City Council began looking at a sidewalk master plan, it was estimated then that more than $28 million in sidewalk projects remained outstanding in neighborhoods that didn’t have them. Still, the city moved forward to replace “adequate” sidewalks in the Slant Street neighborhood, much to the chagrin of those who had no sidewalks at all elsewhere in town. Jones, who is helping spearhead the search for solutions, called upon city staff to provide a breakdown in sidewalk spending, trends and needs. She also called for figures on labor and material costs and how they’ve changed.